Jane Macedonia’s 30-year career in real estate began when she arrived at St. Raphael. Jane helps us find homes; she also participates in and donates to almost every fundraising event held for SRS. The Macedonia weddings and baptisms have been at St. Raphael Church, and their four daughters have been very active in creating, volunteering, and instituting many great programs in our school. 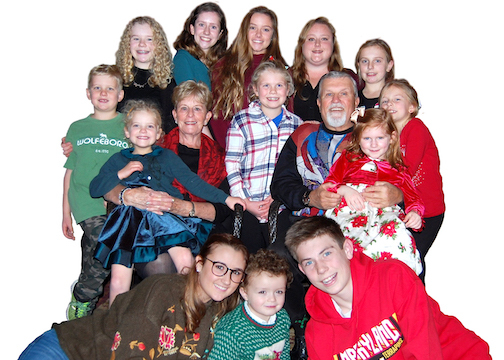 Over the last 27 years, all 12 grandchildren and now two great-grandchildren have been or are students at SRS/SRNS. This year, the first grandchild’s two children started kindergarten and preschool here. It’s the circle of life—continuing to give to St. Raphael. Jane will be honored at the Catholic Business Network of Montgomery County’s annual Gala on Nov. 30.